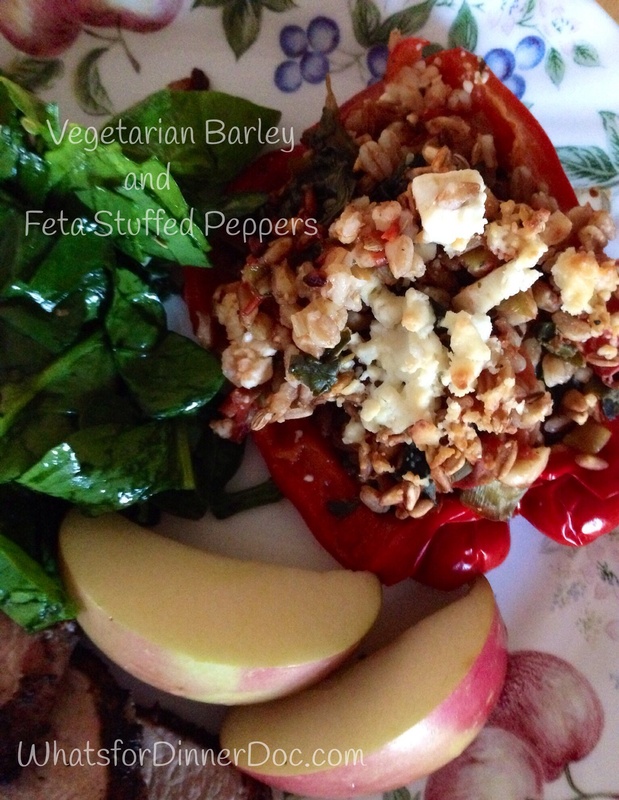 Vegetarian Barley and Feta Stuffed Peppers – What's for dinner, Doc? There must be a million different recipes for stuffed peppers and everyone has their favorite ingredients. Barley is a whole grain and it tastes wonderful in any vegetarian meal. Peppers make perfect little containers to hold meat, veggies, cheeses, and grains. The red peppers are pretty on a plate and impart a delicious roasted pepper taste to the stuffing. 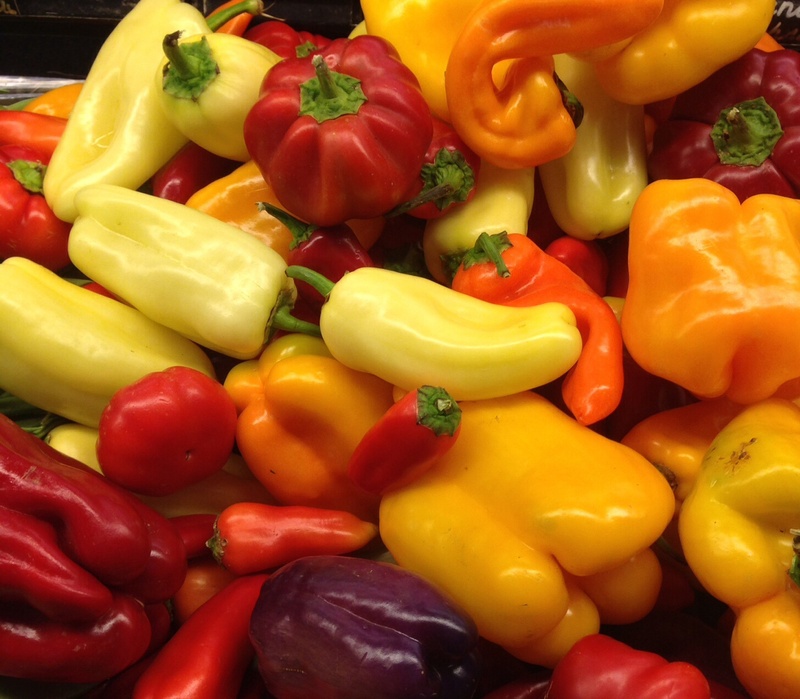 You can sneak it any additional vegetables that you like to make these peppers your own. This may be a nice vegetarian addition to the Thanksgiving meal. Make them a day in advance and then just reheat before dinner since the oven is prime real estate on Thanksgiving. Stuffed peppers are an easy weeknight meal, too. Serve with a salad and fresh fruit for a complete meal. Want more protein? Add cannelli beans or walnuts. Want meat? Replace some of the barley with ground turkey or beef. If you can’t find quick cooking barley then use regular barley but cook it before baking otherwise you will have crunchy little barley stones in your peppers. Vegans you know what to do: Substitute cheese with vegan cheese or skip it entirely. 1 cup quick cook barley, I used Trader Joe’s brand. 2. Slice peppers in half through the stem and remove seeds. 3. Sauté onions and carrots in olive oil until crisp tender about 10 minutes, add remaining ingredients except the feta and bring to a boil. 4. Fill peppers with barley and sauce. Top with feta. 5. Bake in greased and covered baking dish until soft and golden. This sounds delicious Tracy! I love that you used barley. I tend to get stuck just putting it in veggie soups. So comforting on these cooler days. Barley is so filling too Julie. Barley is such a great ingredient and it looks like perfect stuffing for pepper!